Brooklyn-based, black LGBT activists raise awareness of poverty through uplifting stories in an MTA poster campaign. 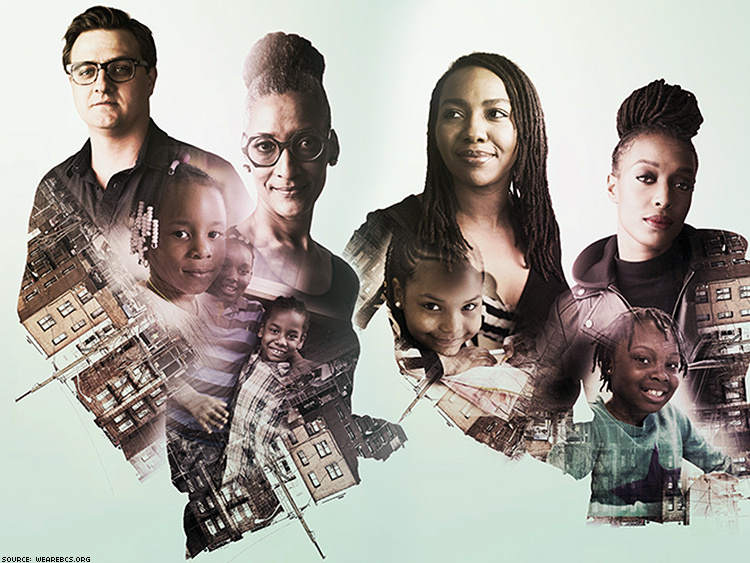 A New York public service campaign is telling the important everyday story of Jodie Patterson, a Brooklyn-based activist and mother of five, who grew up with parents that preached the importance of community. For them, family is also about being part of a large black community. Patterson's son Penelope Ghartey, who chose to proudly keep his given name, has a community beside him. But not all transgender youth are as lucky. Fifty percent of transgender teens attempt suicide because they have no community. Transgender activist Tiq Milan mentions in a separate interview that transgender people are eight times more likely to live below the poverty line than the general population. He also notes the life expectancy of a black, trans woman is only 35. Milan blames this on the “lovelessness” around trans people. Both Milan and Ghartey were featured in Brooklyn Community Service’s ONE Brooklyn Community campaign. Titled “Many Voices, Many Stories,” the campaign recently featured LGBT activists such as Milan and Ghartey on posters in subway stations. The campaign speaks out about Brooklynites living in poverty—23 percent of Brooklynites live below the poverty line. Programs like Brooklyn Community Services and activists such as Patterson, Milan, and Ghartey are raising awareness for over 18,000 people in the diverse Brooklyn population. The goals of the campaign are deep — to increase awareness, community engagement, volunteering, mentoring, in-kind support, and partnerships with local businesses, organizations, schools, and community leaders and to uplift people in underserved neighborhoods. As Patterson says, "Bless up."